Paxos is a small island of just ten kilometres long and four kilometres wide, yet it has captivated many people over the years for its peacefulness, genuine friendliness, traditional way of life and sheer serenity. 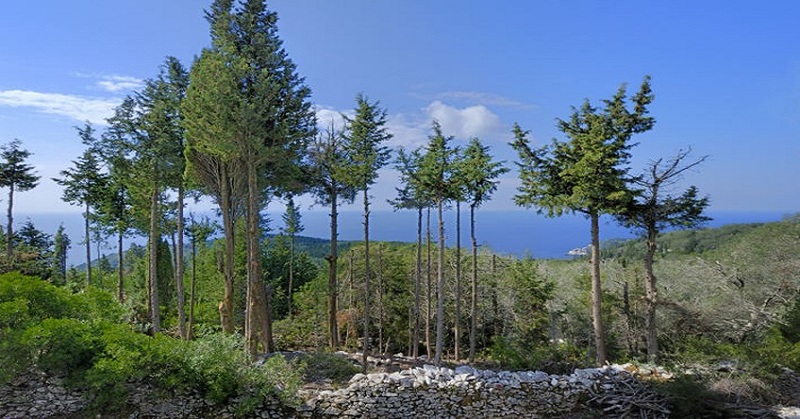 Very much unchanged and still under developed despite the presence of tourism for the last thirty years, it is not until you get into the hills do you discover what Paxos is all about, tradition and beauty. This part of Paxos is a haven of peace with wonderful walks that cross through the olive groves guided by the dry stone walls. 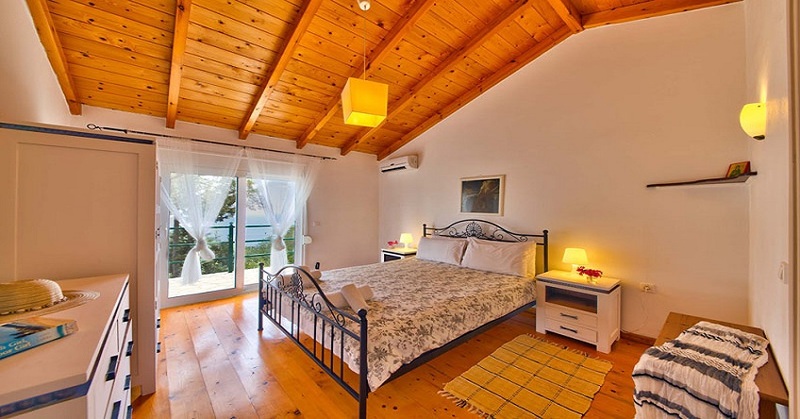 Nestled into the hillside close to Magazia and within a short drive to Gaios is Villa Ita. 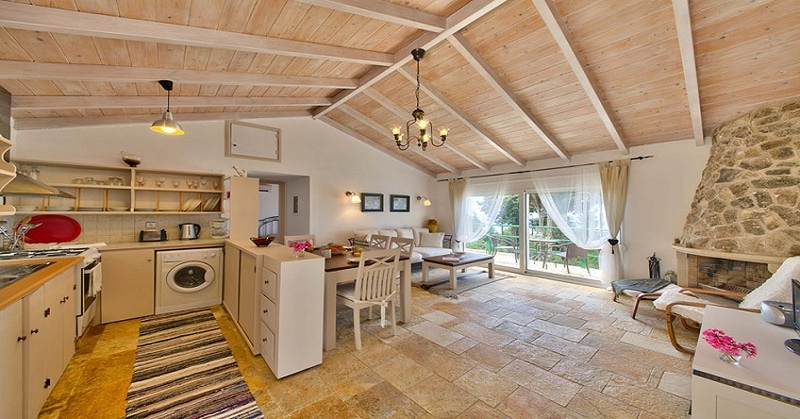 This two bedroom villa is surrounded by olive trees and is the epitome of Paxos, small, understated and traditional. 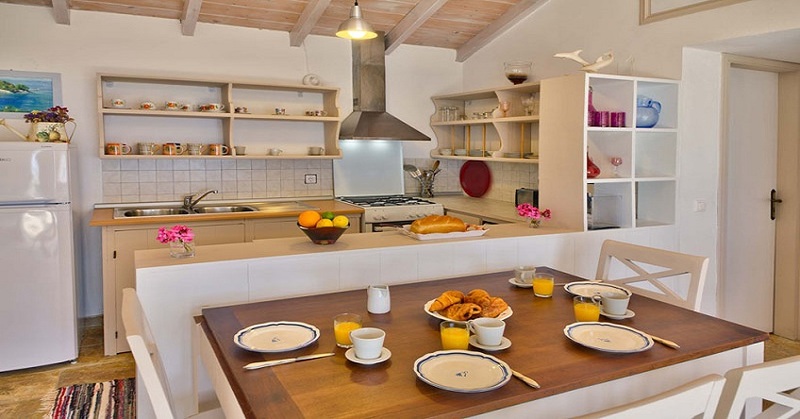 Villa Ita is the perfect size for a small family, a couple or even a small group of friends. 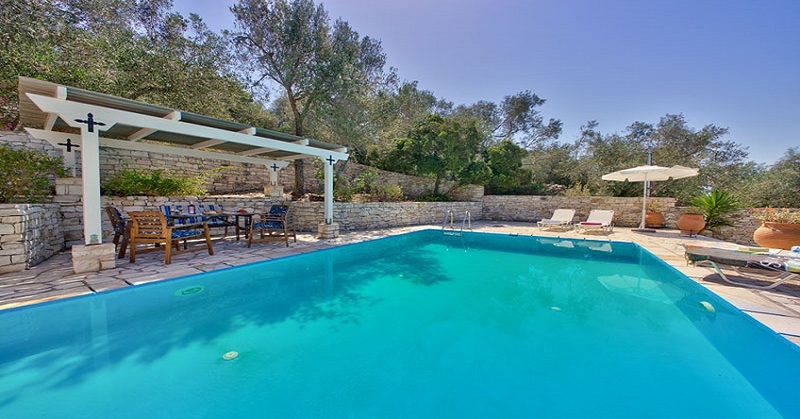 Set on one level and built out of local stone, this villa blends superbly into the surrounding olive trees which also give privacy. On entering the villa from the rear, you walk into the open plan living room and dining room. 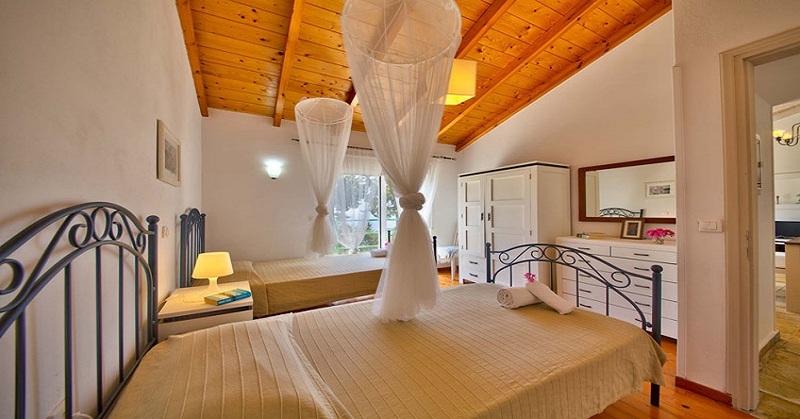 All rooms lead towards the front terrace and the views that take in the south western vista of the green carpet of olive groves on the island towards the sea, the caves that housed smugglers in years gone by and to Anti Paxos. Attached to the open plan living room is the small but well equipped kitchen. The double and twin bedroom are either side of the living room, both with access to their own bathrooms and front terrace. The pool area and sun terrace are to one side and located slightly behind the villa carved out of the hillside. All the terraces are surrounded by olive trees giving a vast amount of natural shade for that traditional Greek island holiday.